For middle school aged kids and up. 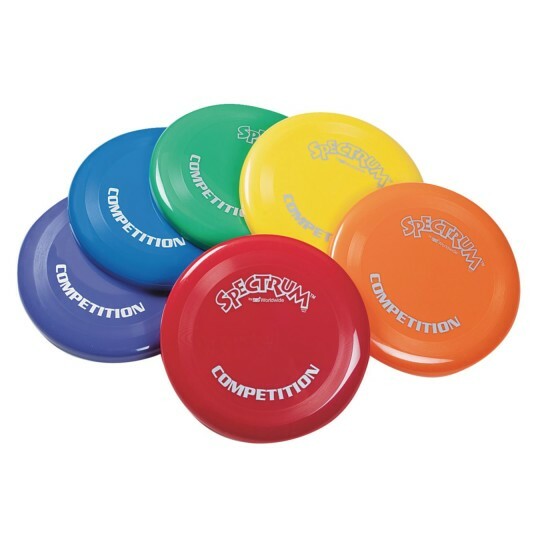 Perfect size and weight for competitive play. Set of 6, one in each Spectrum™ color. 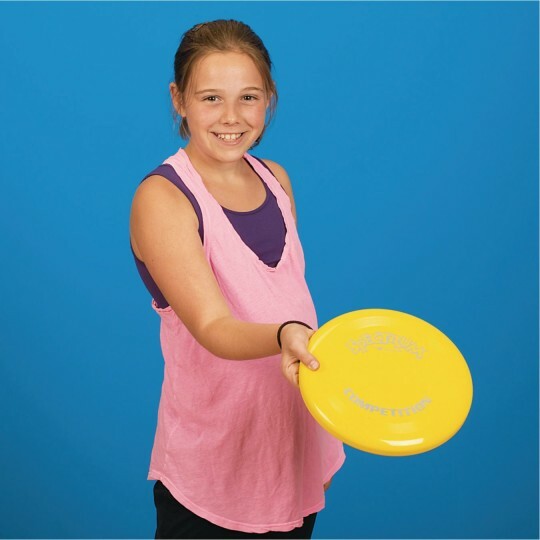 A level-flying recreational disc that's the perfect size and weight for middle school aged kids to adults. 10" diameter and 125 grams. Set of 6, one in each Spectrum™ color. The kids we work with love these. The bright colors make them easy to find when thrown out of the area we use for recreation. They have been very durable facing the use of 30 or more kids. These are great to use around the yard. They work really well at least until the dogs get ahold of them. The colors are very bright and vibrant which makes them easy to spot. We use these to introduce Disc golf and play Ultimate.